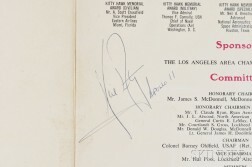 Armstrong, Neil (1930-2012) Signed Program, Kitty Hawk to Tranquility. 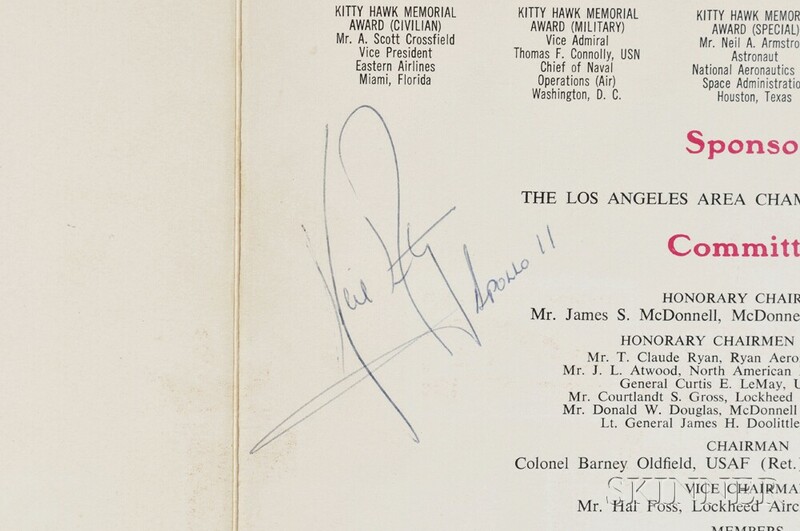 Beverly Hills, California, 5 December 1969. 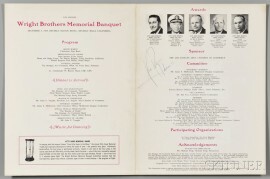 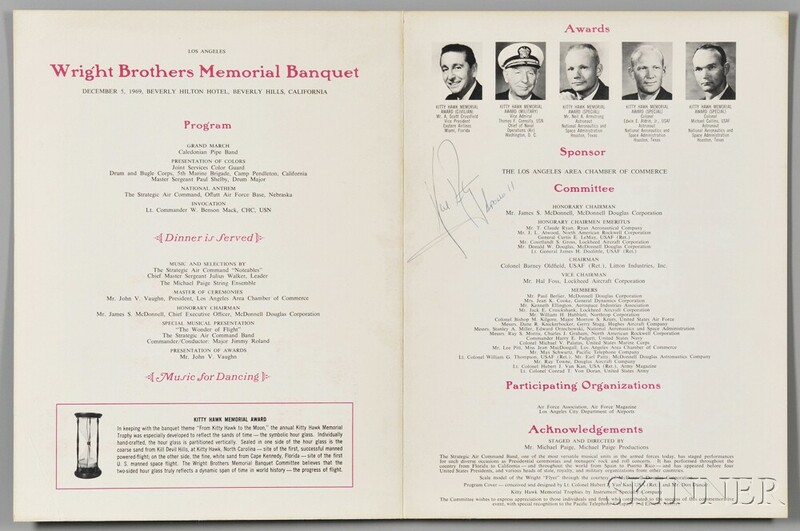 Bifolium color-printed program for the Wright Brothers Memorial Banquet, signed by Armstrong on the interior page, with the added inscription in his hand, "Apollo 11," 12 x 9 in.